Hester has a BA (hons) in Illustration and works from her studio in Horton-in-Ribblesdale. Her colourful and richly textured limited-edition collagraph prints reflect her appreciation of the natural landscape and are often inspired by things she sees whilst out fellrunning. 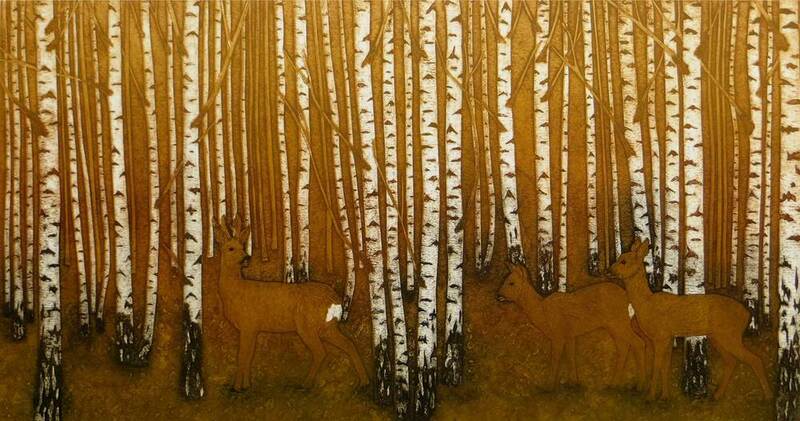 She is a member of Leeds Fine Artists, Printmakers Circle, Printmaking Online and Ålgården Studios in Sweden. Hester enjoys the creative space afforded by artists’ residencies and has created collections in response to subjects such as the Vale of York Viking Treasure Hoard and Nidderdale Museum’s bird egg collection. She teaches printmaking workshops across Yorkshire. Awards include an Extending Practice Award from Chrysalis Arts, which allowed her to work with the British and Yorkshire Museums in 2011. She is also one of ten artists selected to take part in Mirror Images, an international printmaking exhibition, which is showing simultaneously in North Yorkshire, Scotland, Finland and Sweden in 2015. 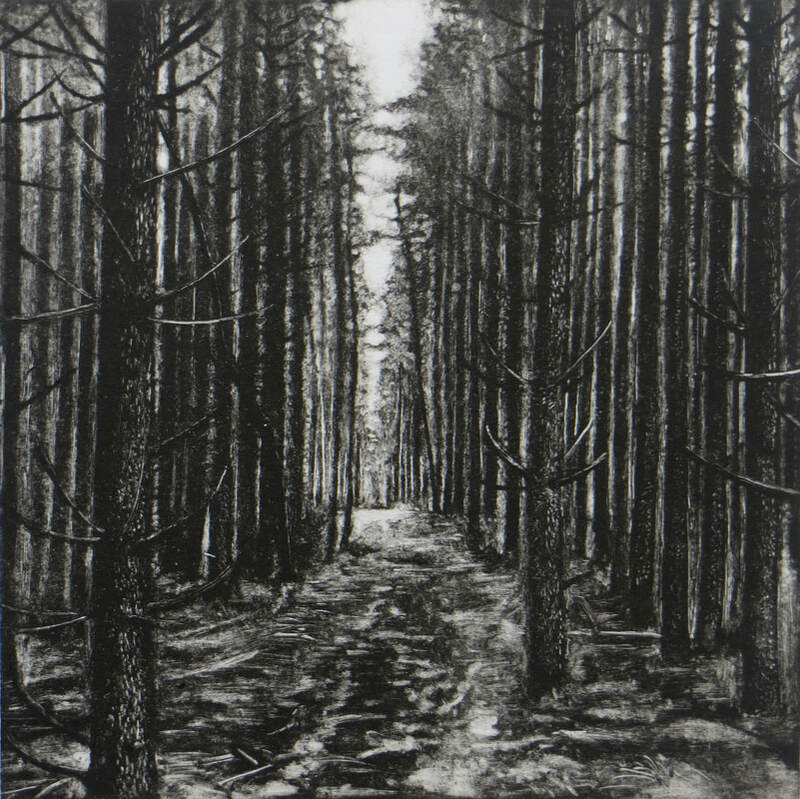 Her latest print, Tracks and Traces, has just been shortlisted for the New Lights Prize Exhibition. "My printmaking is informed by my surroundings and wherever I am I seek out evidence of the natural world that is particular to that environment. I have spent most of my working life living in rural places and I am fascinated by the rhythms and cycles that occur within nature. Whilst an idea may be sparked by the written word, it is invariably my physical experience of a place that inspires a new piece of work. As a fell runner, my excursions often take me to wilder less visited locations and I am outdoors in all weathers. The physicality of running combined with the solitude and necessary awareness of my immediate environment creates a visceral connection with the landscape that lasts long after I have returned to the studio. Revisiting the same areas repeatedly provides me with the opportunity to catch a glimpse of some of the more elusive birds and animals that inhabit these environments. It is these chance encounters that I find most exciting and that will often be translated into print. I invariably carry a camera to record details or to act as a memory prompt and I sketch and write notes and haiku to distil my ideas. By using multiple plates, painted textures and intricate cutting in my collagraph printmaking I can accentuate the patterns that I find in the natural world, celebrate the colours found in nature and draw attention to the everyday occurrences that happen around us but that often go unnoticed or are soon forgotten." The works illustrated below are intended to give you a taste of what the gallery has to offer, please email us on info@cambridgegallery.co.uk or call us on 01223 324222 to find out which pieces are currently available. Prices range from £50 - £310.